This morning, TIME released their annual “TIME 100″ list of the 100 most influential people in the world. 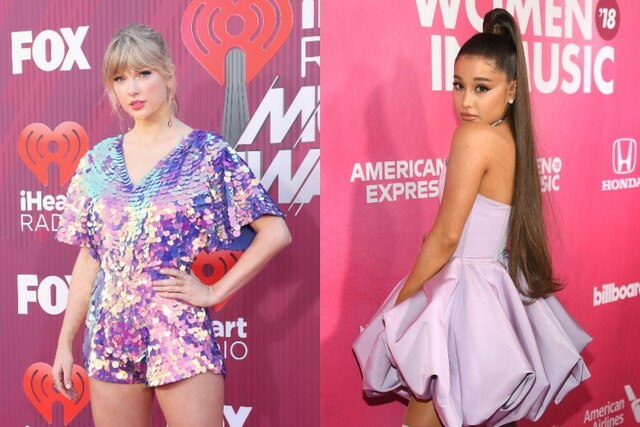 Among the musicians chosen for this year’s list: Ariana Grande, Taylor Swift, Lady Gaga, BTS, Khalid, and Ozuna. As was the case last year, shorts blurbs were contributed by the peers of those who appeared on the list. Shawn Mendes, who wrote on Taylor Swift, said that “Taylor makes anyone older feel young again and anyone young feel they can do anything. It’s so rare and so special.” Halsey, who collaborated with BTS on the recent single “Boy With Luv,” had this to say about the K-pop phenoms: “With positive messages of self-confidence, intricacies of philosophy hidden in their sparkly songs, true synergy and brotherhood in every step of their elaborate choreography, and countless charitable and anthropological endeavors, BTS have put their 14 best feet forward as role models to millions of adoring fans and anyone else who finds themselves drawn to BTS’s undeniable allure.” Alicia Keys wrote on Khalid, Celine Dion on Gaga, and Daddy Yankee on Ozuna. The “TIME 100” list also included Alexandria Ocasio-Cortez, Brett Kavanaugh, Dwayne “The Rock” Johnson, Sandra Oh, Mark Zuckerberg, Tara Westover, and many more. Find the full list here.